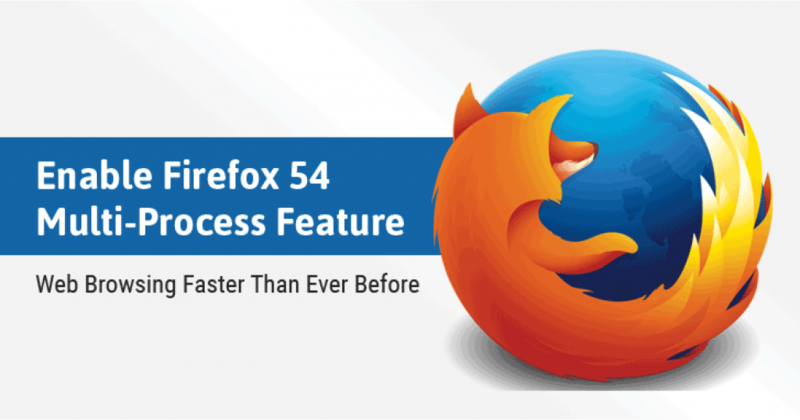 After years of waiting, Mozilla last week launched Firefox 54 for Windows, Mac, Linux, and Android, with multi-process support — a “major improvement” to improve your browsing experience — but many users are still struggling to take advantage of this feature. 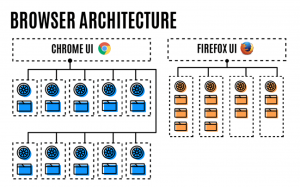 Mozilla’s multi-process support in Firefox has been in development for over eight years as part of a project, codenamed Electrolysis or E10S, which aimed at improving responsiveness and speed by streamlining memory use by different processes. 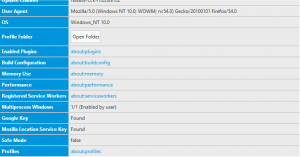 In other words, Firefox is finally making use of “significantly less RAM” of your computer, as heavy web pages in one tab will now have a much lower impact on responsiveness and speed in other tabs. If it says “1/1 (Enabled by default)” — multi-process feature is working. 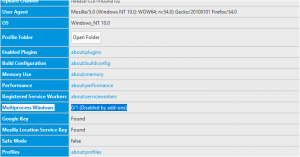 If it says “0/x (Disabled by add-ons)” — multi-process is not working. 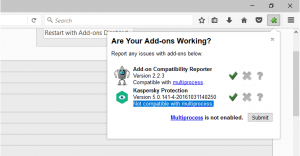 To find out the list of incompatible add-ons to see which of your extensions is at fault, install “Add-on Compatibility Reporter add-on” provided by Firefox.